Makeup artistry. PhiBrows Artist. LVL Lash Lift. Getting married is one of the most magical experiences of your life. It's a day when you make fabulous life-long memories, with all brides wanting to look and feel their best. I have worked with hundreds of brides to help them make sure that they look breathtaking and feel fantastic! 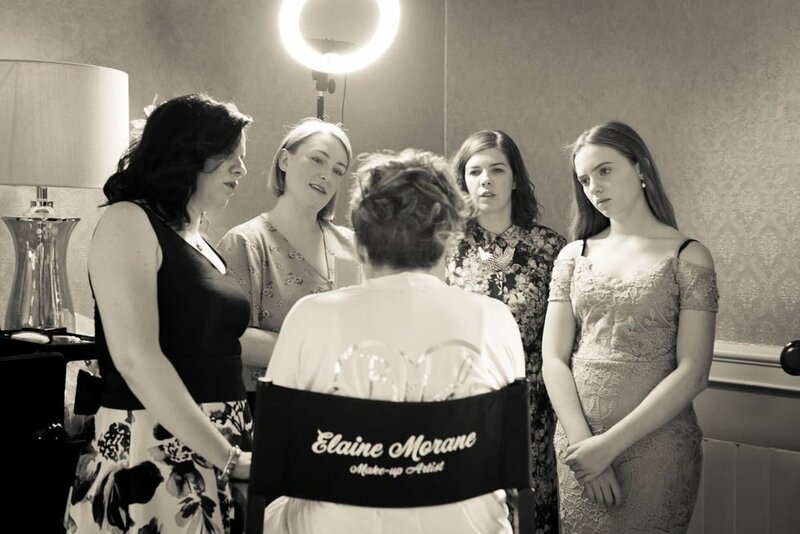 The service I offer each of my brides doesn't just begin on the morning of big day: every bride-to-be is different, so I make sure that time is invested before-hand to understand exactly what they want from their makeup so that I can deliver a result that is everything they dream of. All packages can be altered to meet your individual needs. To build your own package, or if you have any other questions, please get in touch. Think of this as your makeup's version of a full dress rehearsal! I understand that, whilst the big day is a magical one, it can cause stress and apprehension - with everything else on your mind, you don't want to add makeup to that list! That is why, with every bride I work with, I organise a trial before the big day. I ensure that a full hour and a half is set aside, so that we can discuss looks, explore products and experiment with a variety of styles to ensure you are fully happy with how the makeup will look on the day. Also, with my years of experience within the skincare industry, we can look at your skincare regime to ensure your complexion is at its best for the big day! Everything we discuss and decide upon is noted on face charts as a record. A lot of brides bring with them their mum, maid-of-honour, or just a couple of friends to help make those all important decisions - all are welcome! As with all my appointments, you will leave the trial looking flawless, so most of my brides try to time their trial just before a party or night out! I will be with you throughout the morning of the wedding - this ensures that I have more than enough time to make you and your bridal party look incredible, whilst working around the hair stylist, photographer & videographer. This also ensures that there is adequate time for you to relax and be with your friends and family. Once you're in your dress and ready to go, we will also have time to touch up your look, making sure you're perfect for those all-important first photos! All my bridal packages include on the day lash application for whoever's make up I do. I can also provide mini-make-ups for the flower girls. Bride's constantly comment on how flawless my looks remain throughout the day and in to the evening, however many brides like to be supplied with an on-the-spot touch-up kit so that they can sharpen their look for those big cake-cutting, first-dancing moments! Alternatively, if you would like to have me on hand to touch up, or even provide a full refresh during the day, this can be added. This is an ideal option for the bride-to-be that wants to do their own makeup on the day, but thinks they would benefit from some assistance and direction from an industry professional. This would take the shape of an extended one-to-one makeup lesson, which would focus on bridal makeup and the specific techniques you'll need to achieve your desired look. We will also discuss the products you'll need and formulate your shopping list for the big-day essentials! As a skincare expert, we can also look at your skincare regime to ensure that your complexion is looking its best on the big day! I absolutely love weddings and know how amazing the day is. However you decide to manage your makeup, I hope you and your partner have the best day and wish you both a lifetime of happiness!